I have had iA Writer for a while now and have used it off and on with satisfaction. It is extremely minimal. Nothing to distract the writer from his or her words. Best of all – for 100 word stories – in includes word and character count prominently at the top. Enhanced keyboard as well. 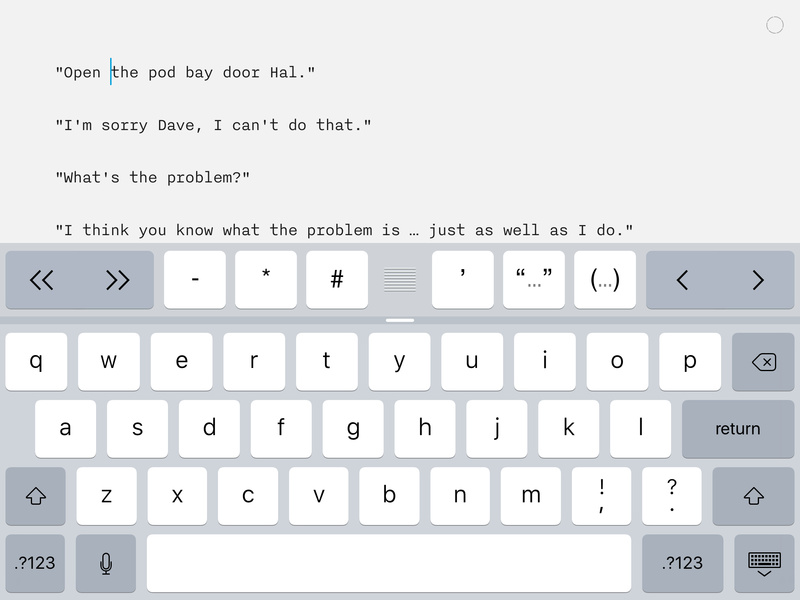 iA Writer is the quintessential writing machine for iOS, Mac and Android. Writer is designed so you can keep your hands on the keyboard and the mind in the text. Available for iPad, iPhone, Mac, and Android.